This is Chico. He is a Chihuahua/Greyhound mix. 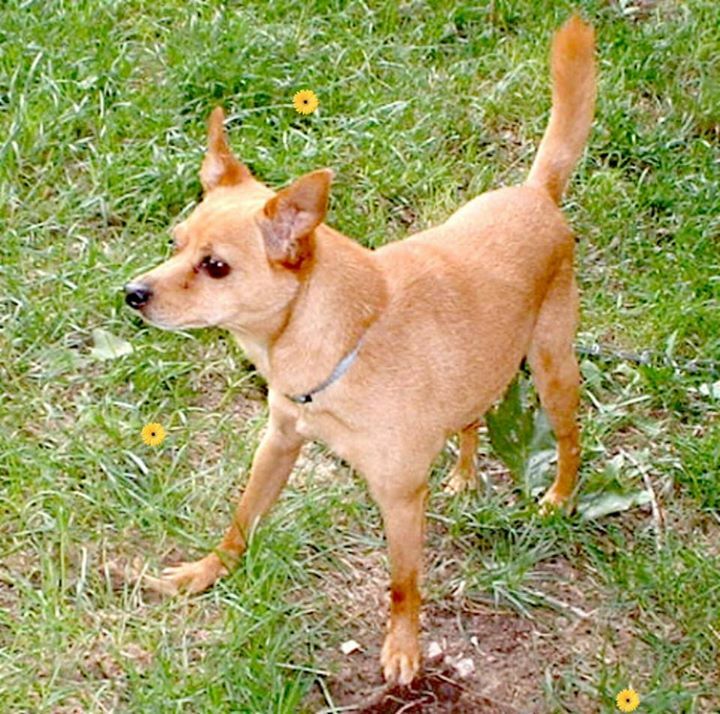 Chico comes from an older lady whose family put in assisted living. However, first they made her take her dog to be put to sleep. But the caring people at Riverhill stepped in to rescue him. He's a sweet boy who loves tummy rubs. He will do great as an only pet or in a multiple pet family. Chico does great walking on a leash. He is crate trained and housebroken if you let him out on a regular basis. Chico weights about eight pounds and is about five years old. His personality is more on the Italian Greyhound side. He loves chewies and toys. Chico would be the perfect companion. To read more about Chico, please click here. After what the lady's family tried to do, we hope Chico finds a great home soon. He has been waiting a year this month for a home. That is a long time. Poor sweet Chico, hensure is a handsome dude and we hope tht forever home wakes up soon! Will share. I though that was really bad too. What a horrible thing to make your Mother do. Poor Chico. I agree...what a terrible thing to make your mother do. Unbelievable. Sharing. Oh, poor Chico! (And poor Chico's original owner!) Sharing.